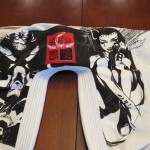 Ever wondered what would happen when a gear manufacturer known for comic inspired designs enters into a collaboration with a multiple Eisner and Kirby award nominee? 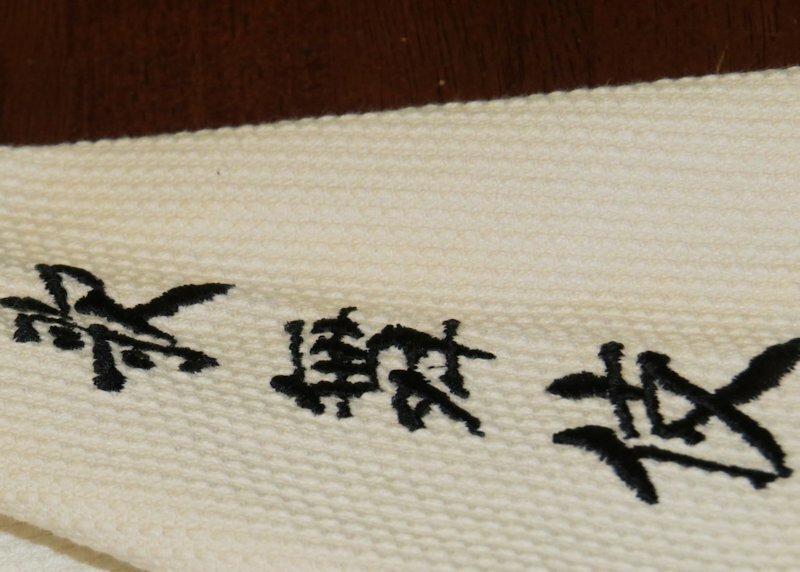 Look no further than the Kabuki gi. 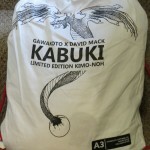 David Mack first created Kabuki (the comic) twenty years ago at a small independent press. Over the course of the next two decades the comic has been picked up by successively larger companies until finally landing at Marvel. 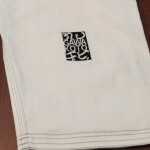 To put it succinctly, David has some serious chops as both an artist and writer. 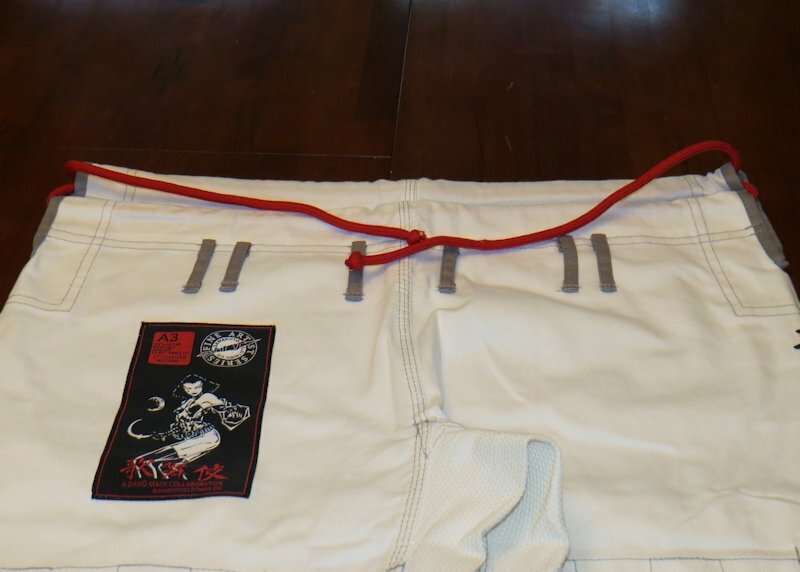 Not only does the Kabuki gi feature unique and intricate artwork but Gawakoto has done an excellent job with the execution of the final product. 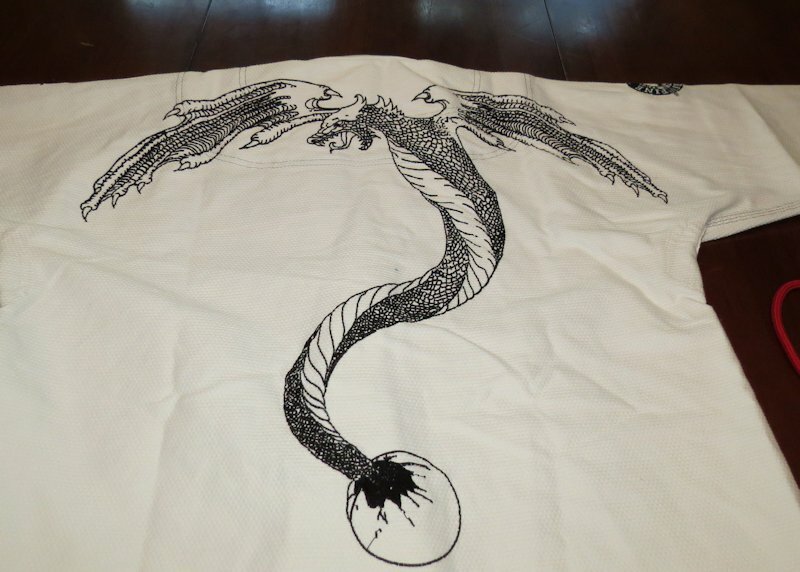 Gawakoto ships each Kabuki in a custom gi bag that features a dragon emerging from an egg. 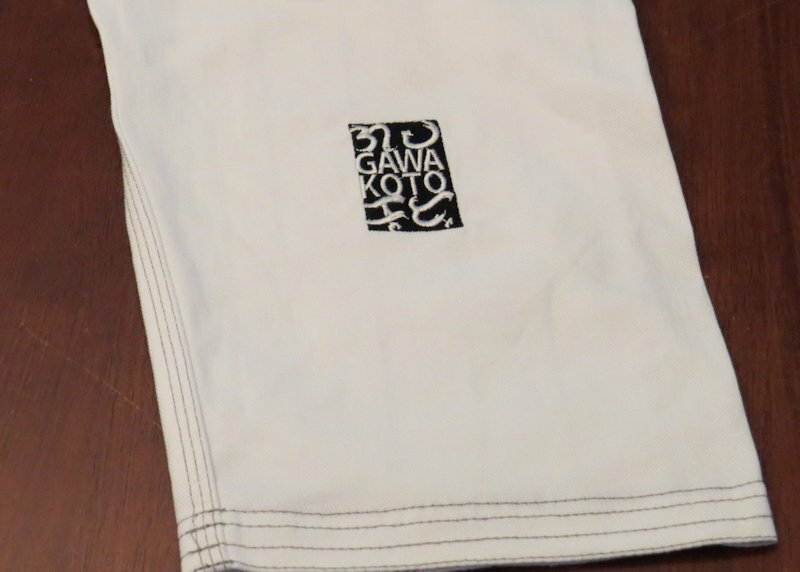 The bag is sturdy but beyond the artwork, which looks great, it’s a pretty typically canvas gi bag. 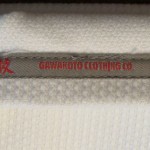 The jacket is constructed of a very rough 475gm pearl weave. 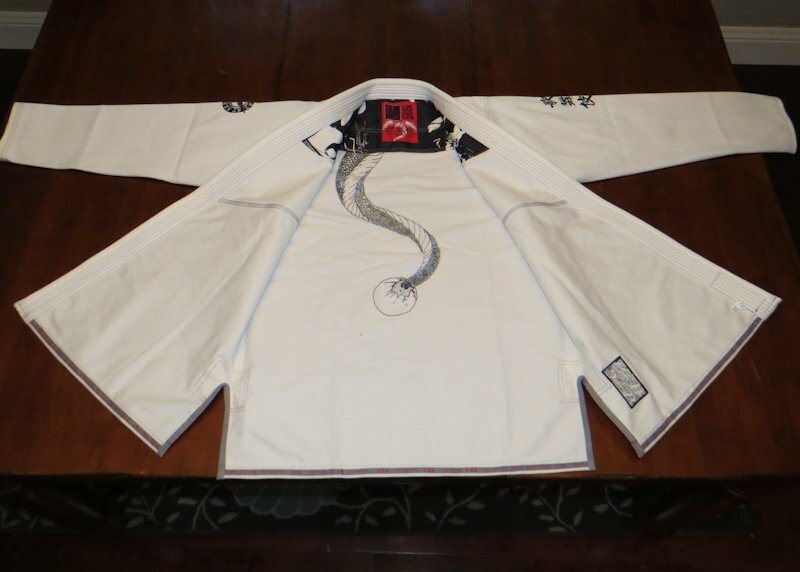 The outside of the jacket is nearly as course as an Atama Mundial while the inside is comfortable. 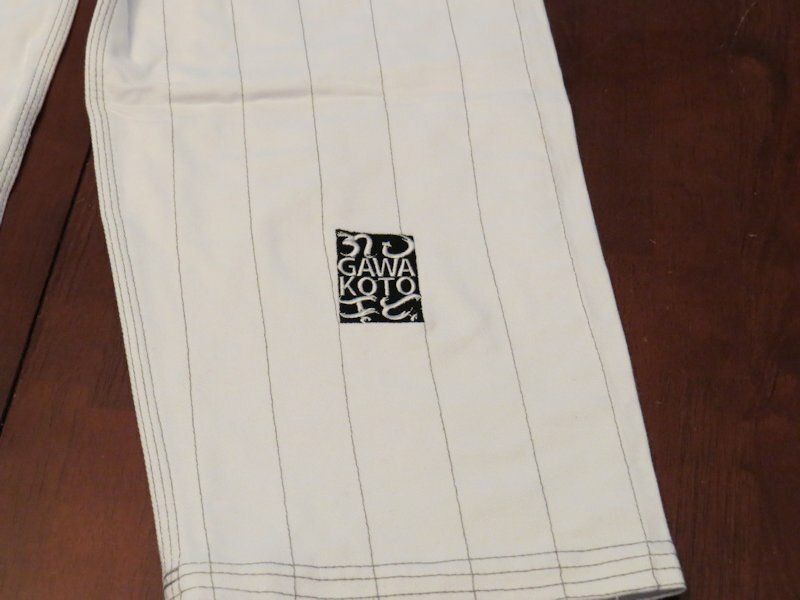 The trousers are 10oz drill cotton. 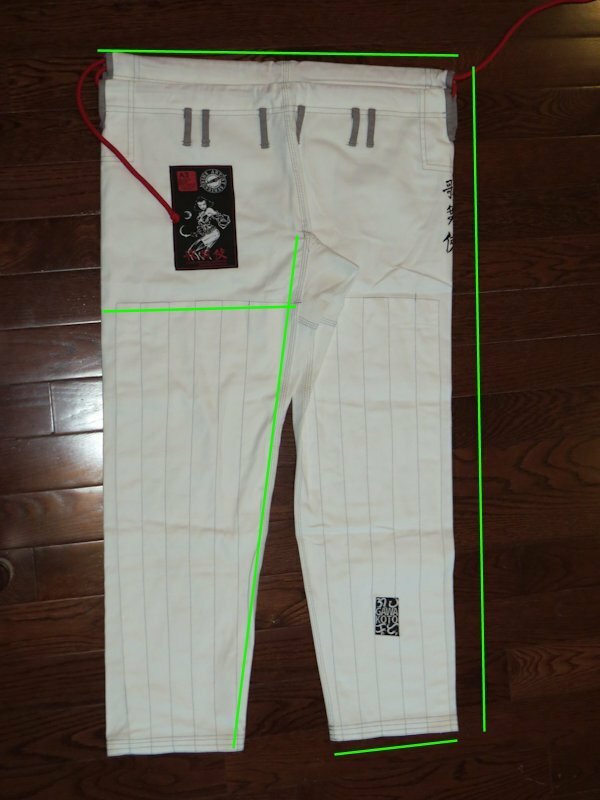 The jacket is reinforced in all the right areas and the pants have knee reinforcement from the mid-thigh all the way to the cuffs. 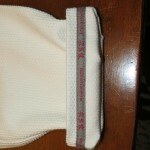 The collar is the industry standard EVA foam and of medium thickness and stiffness. 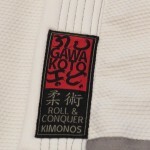 We’ve all come to expect seam tape, and at the prices that a gi costs these days you should, and Gawakoto has taken it a little further with his own personal touch. 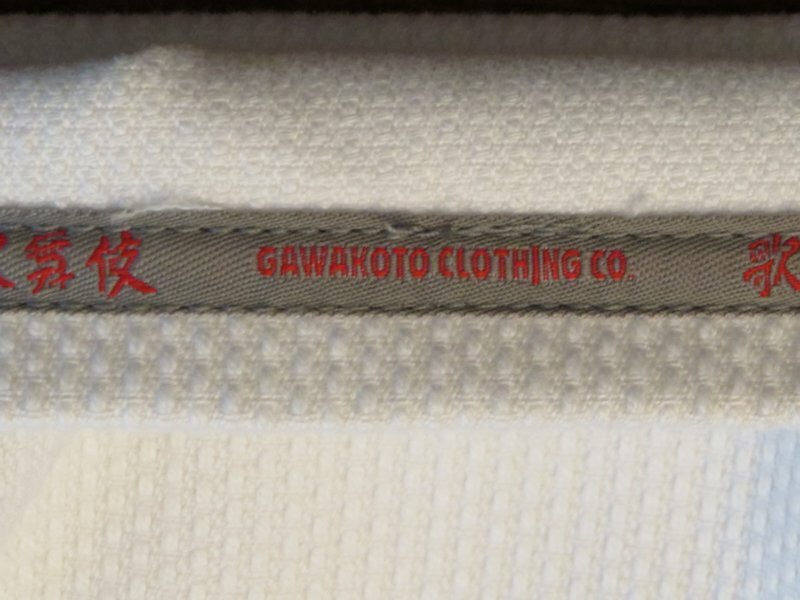 The tape has the following, “David Mack’s Kabuki [some kanji] Gawakoto clothing [some kanji] Little Sister is Watching” A little creepy but a nice touch nonetheless. The jacket is where things start to get a little interesting. 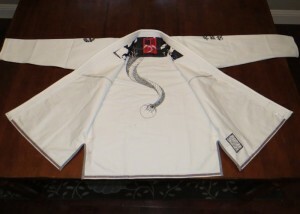 From the front the white jacket is relatively understated. 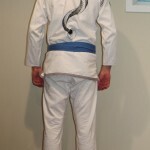 There is embroidery on each shoulder. 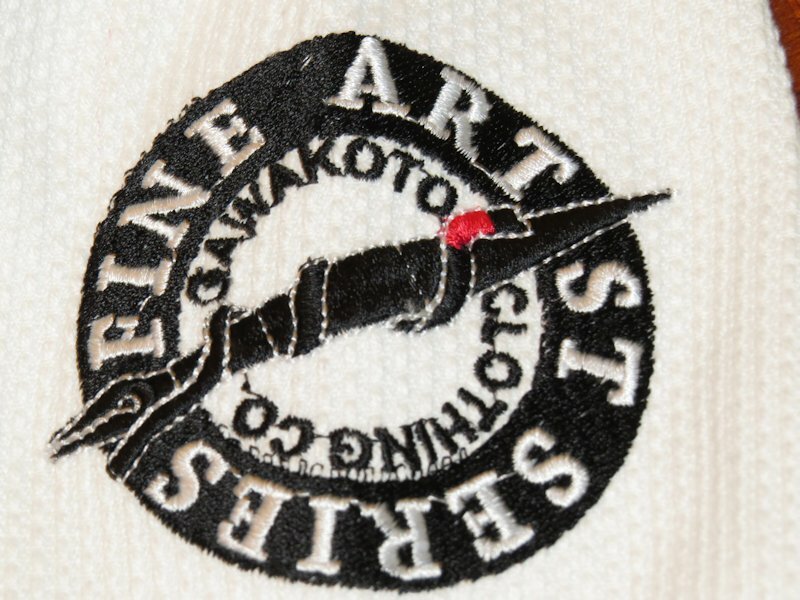 The left shoulder has a logo that Gawakoto created specifically for his “Fine Artists Series” and the right shoulder has kanji on it. 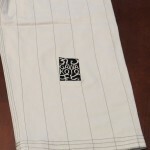 The kanji and embroidery are well done and are holding up well. 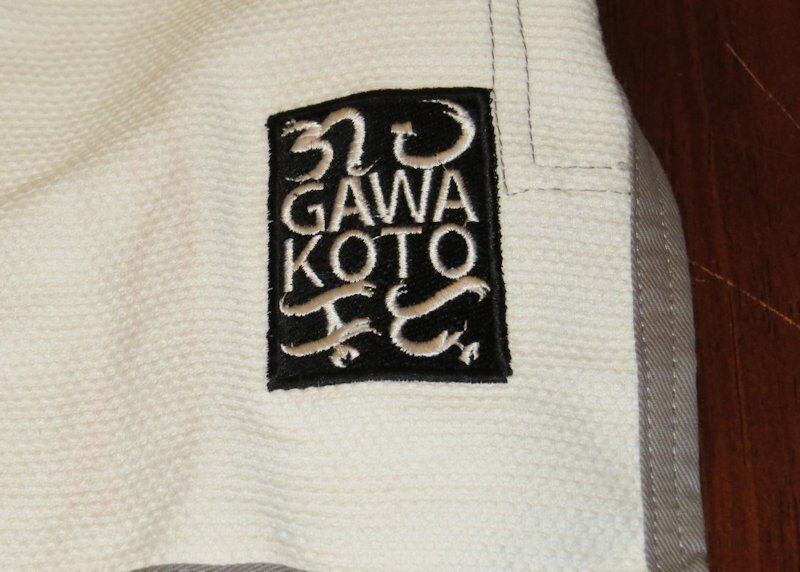 The only other adornment on the front is the ever present patch on the bottom of the lapel and Gawakoto’s own logo is embroidered on the bottom right side of the skirt. 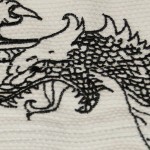 The patch could be removed in a few minutes if you wanted. 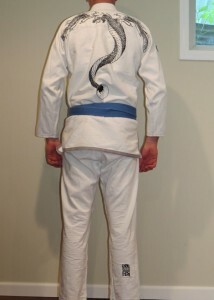 Similar to the mullet this gi is all business in the front and flash on the back. 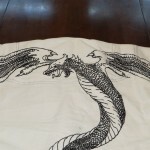 The back of the jacket is dominated by an embroidery of a dragon in embryonic release from an egg. 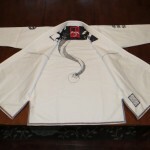 The design is somewhat reminiscent of Hayabusa’s Pro Jiu Jitsu gi. 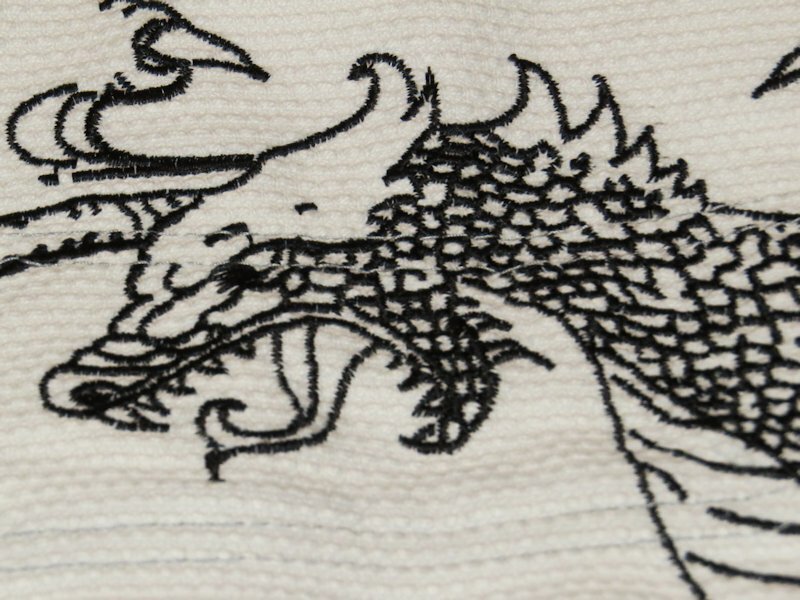 Whether you like the embroidery or not is a personal choose and not one that I’m going to make for you. 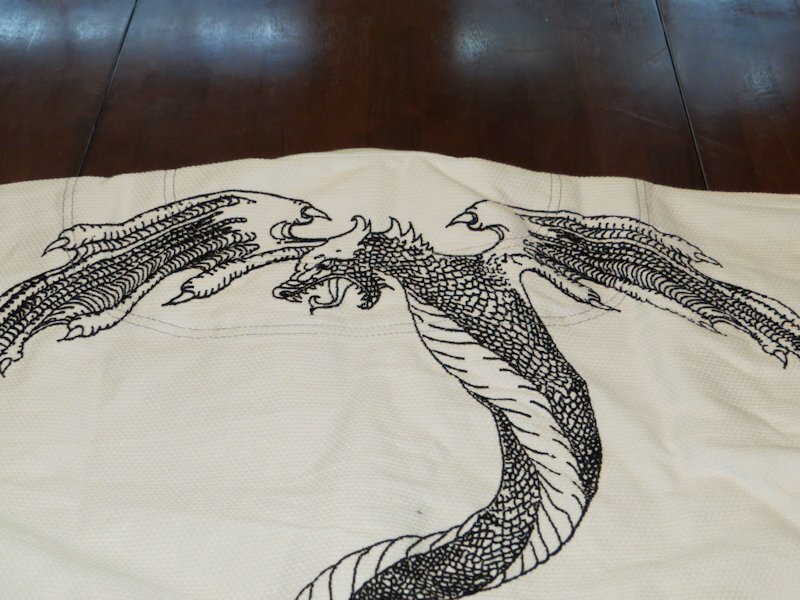 What I will do is tell you that dragon is well constructed and very detailed. 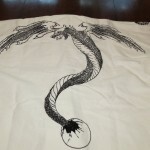 The dragon’s wings extend across your shoulder blades and the egg of origin is at the base of your spine. 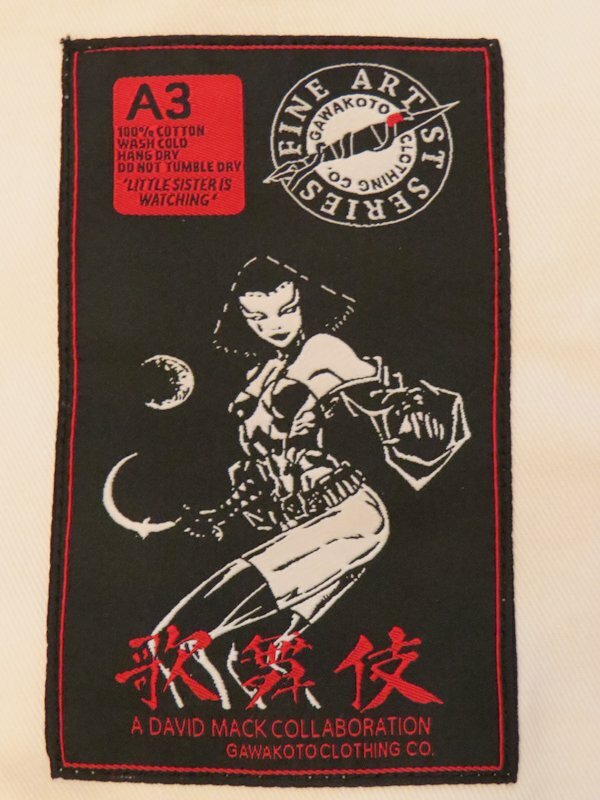 The last thing that sets this jacket apart from others is that the shoulders are lined with what is essentially a comic panel from David Mack. 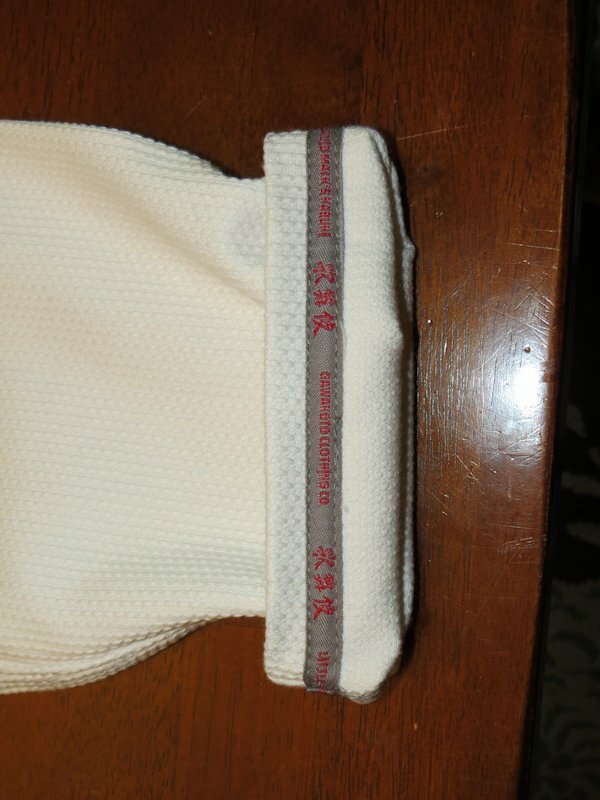 It looks really cool and I’ve been a fan of liners on the interior shoulders since I first saw Grips do it with the Secret Weapon. 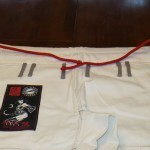 The trousers for the Kabuki have 6 loops and a nice cord drawstring. 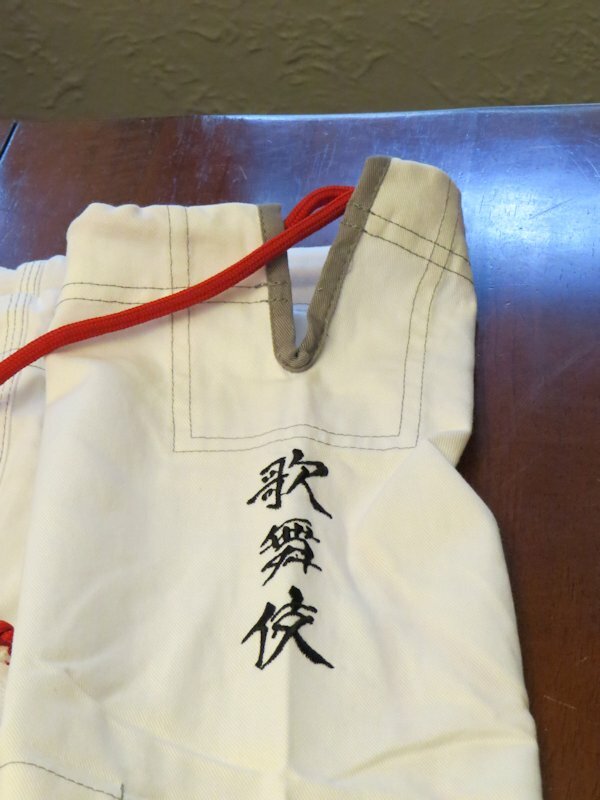 There is a really well done patch on the upper right thigh, kanji on the outer left thigh and two embroidered logos on the lower pants (one of the front and another on the back). 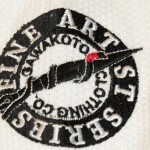 Again everything is well done and solid. 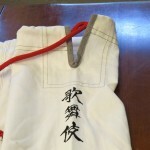 The waist has an offset rear so that when you’re getting berimbolo’d you’ll keep your pants on. 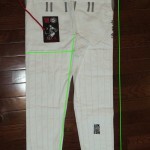 As I mentioned earlier there is reinforcement over the bottom 75% of the pants. Let’s start this by reminding everyone that I have very long arms. 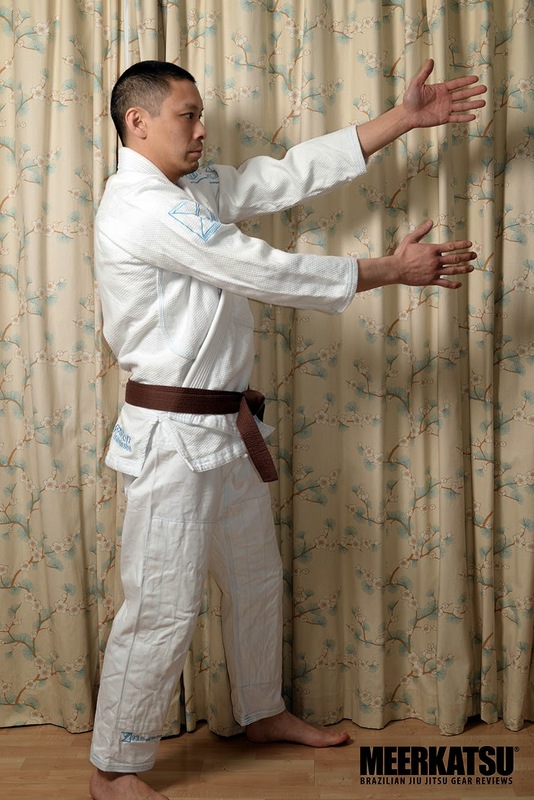 If Seymour Yang were 6’4” we’d probably have arms the same length. 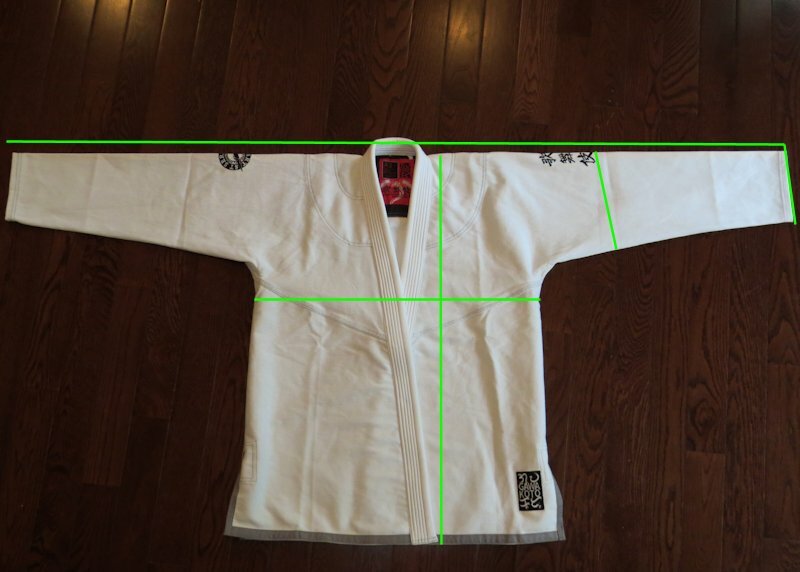 The A3 fit me everywhere except in the wingspan and inseam. This is a very common problem for me and the reason why I usually only wear tall/slim sizes. 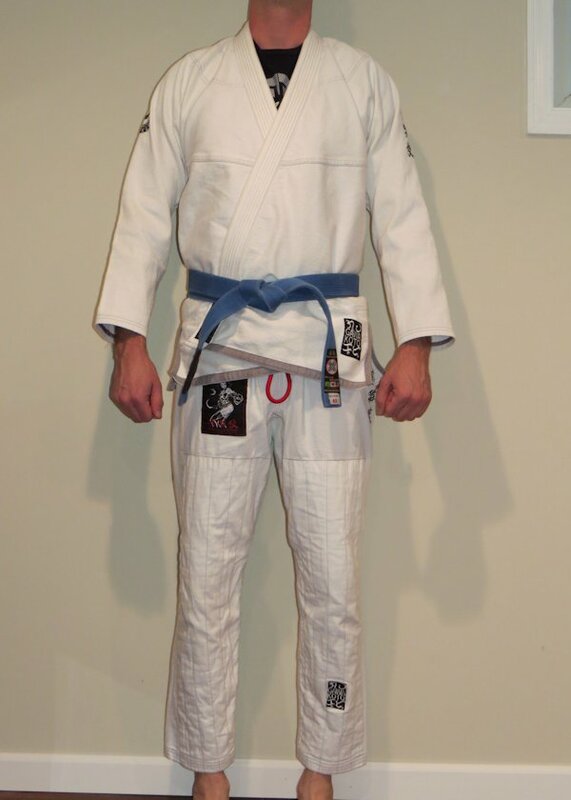 That said, the gi has a slim cut in the chest, arms and thighs and would be suitable for competitive rolling, if your arms are a little shorter than mine. 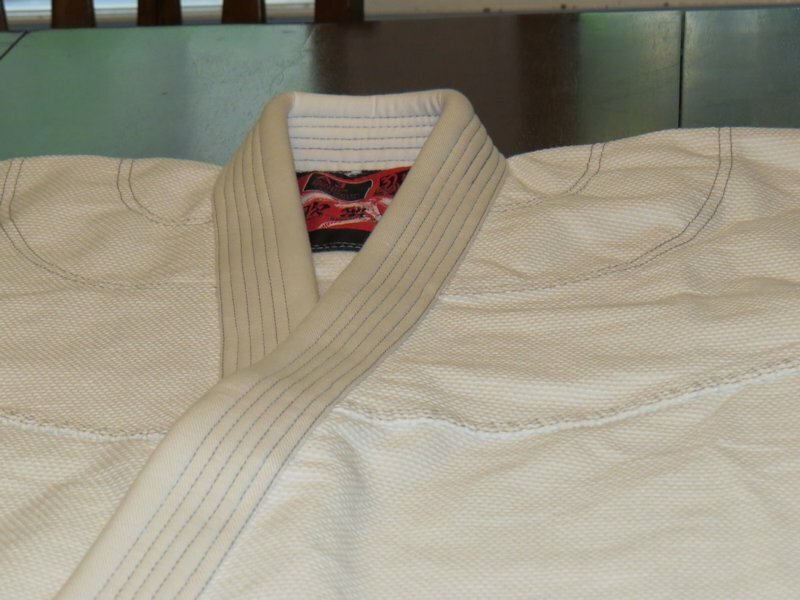 The pearl weave is very rough for your partner and the extra fabric at the cuffs and biceps make gripping it difficult for your opponent. 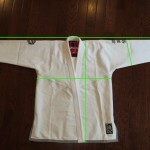 If you’re a comic book fan this gi is a slam dunk for you. 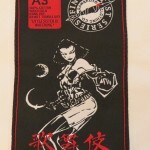 To my knowledge this is the first collaboration with a successful mainstream comic artist/writer. 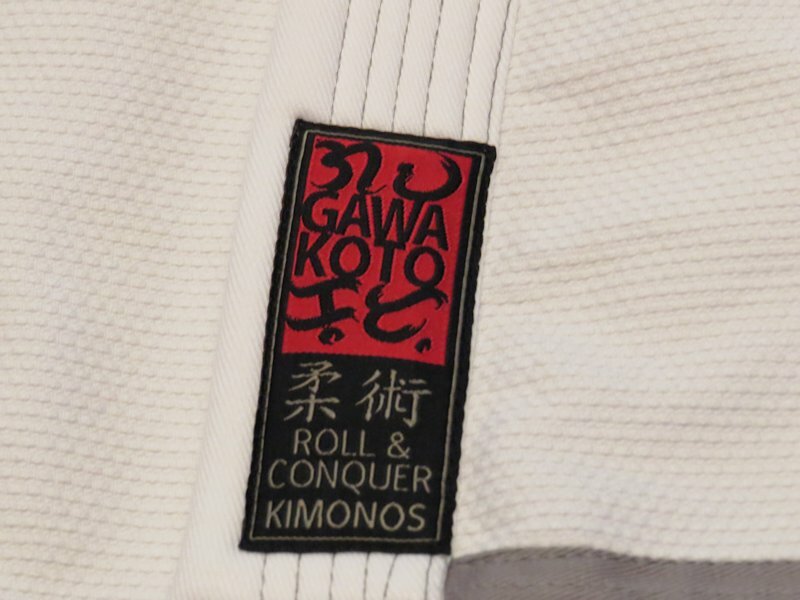 David Mack may even be the closest we’ve come to seeing a celebrity collaboration with a gi manufacturer (and no I’m not counting the flannel lined gi from Shoyoroll). 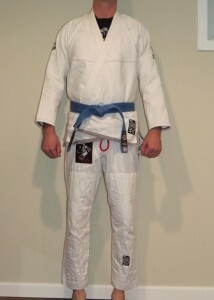 David’s style clearly comes thru with the gi and if you’re a fan of his work you won’t be disappointed. 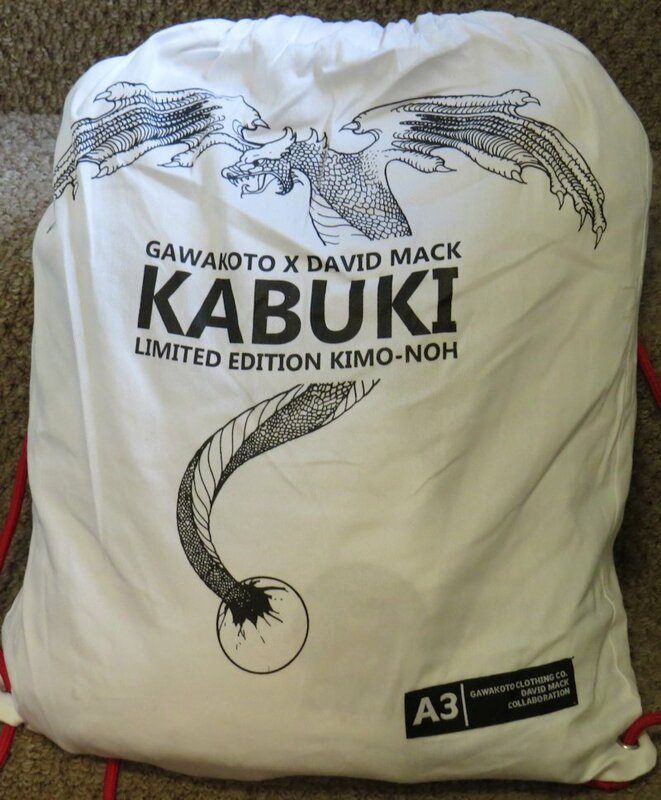 Gawakoto’s collaboration with David Mack priced firmly in the premium gi market. 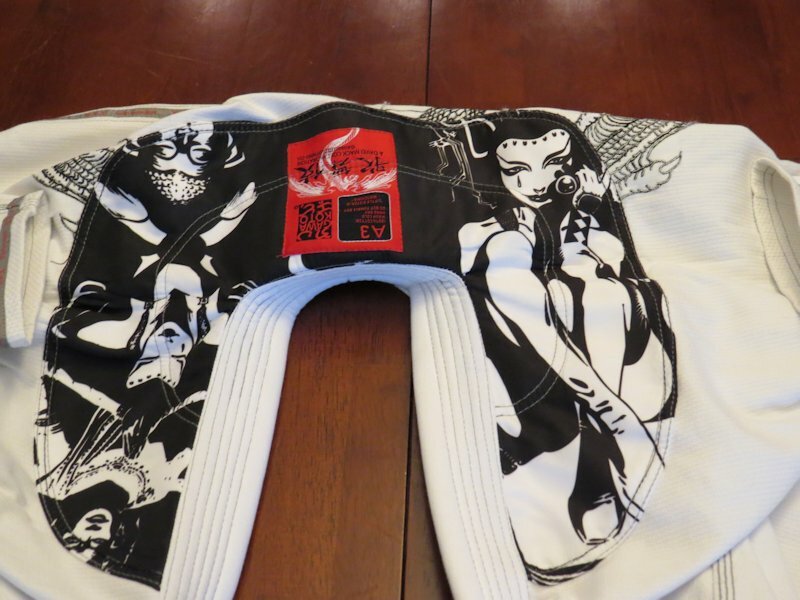 For £120.00 (or $194.99) you’re getting a limited edition gi that is used to showcase artwork inspired by the Kabuki comic. 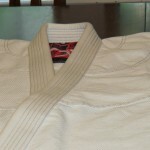 As a bonus you’re getting some cheese grater quality pearl weave to inflict on your opponent and a gi that’s well-built. 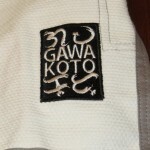 Don’t forget to check out Gawakoto at his Facebook and Store and David Mack is on Facebook. 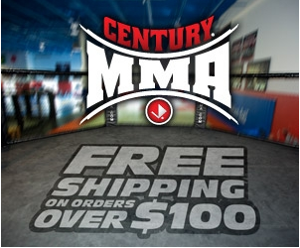 Even if you’re not buying anything those two have a lot of cool stuff on the social media sites.